Yours truly was one of the few members of the media who were in Puteri Harbour recently to check out the official launch of "Time. Together" at Puteri Harbour. 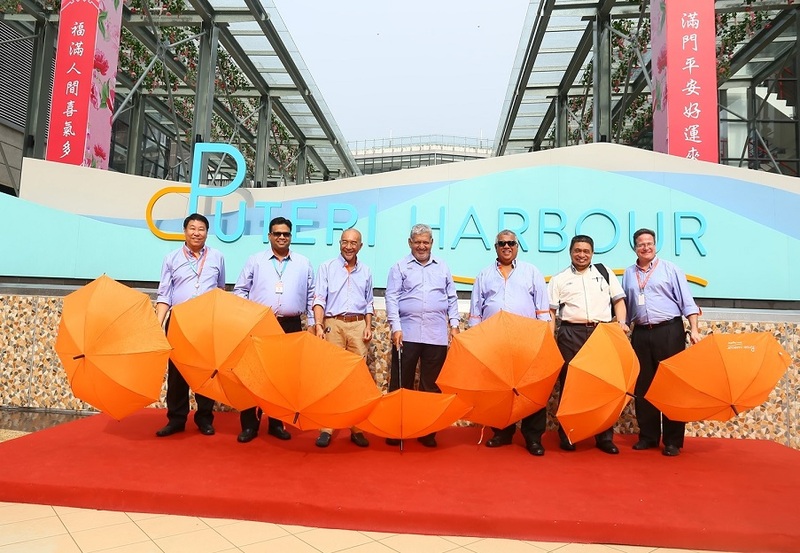 Puteri Harbour, (used to be known as Nusajaya) has made its presence known as the premier family and lifestyle destination in Malaysia’s southern region with the launch of “time.together”, an initiative aimed at encouraging the public to come to Puteri Harbour and spend quality time with family and friends. The initiative, which leverages Puteri Harbour’s special offerings, showcases the full suite of family-friendly activities in the region. 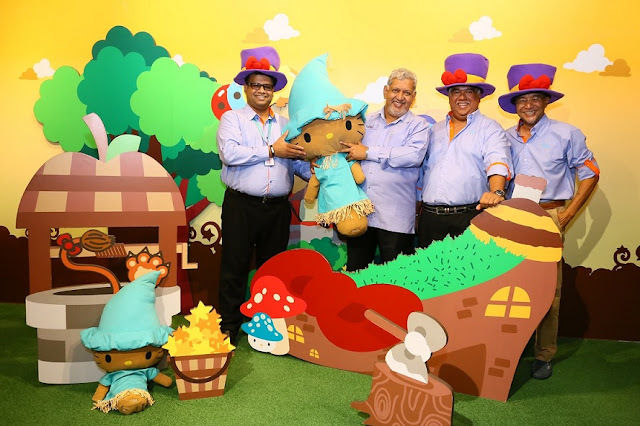 These would naturally include visits to SANRIO HELLO KITTY TOWN, the largest integrated Hello Kitty themed offering in South East Asia which gives visitors the only complete Hello Kitty experience outside of Japan, and THOMAS TOWN, the home of all time family favourite characters – Thomas & Friends. Yang Berbahagia Dato’ Mirza Mohammad Taiyab, Director General of Tourism Malaysia graced the launch event together with Yang Mulia Tunku Dato’ Ahmad Burhanuddin, Group Managing Director and Chief Executive Officer of Themed Attractions Resorts & Hotels Sdn. Bhd. “By providing an avenue to foster better personal connections with family, loved ones and friends; Puteri Harbour’s time.together will deliver a destination equipped with luxurious but affordable waterfront dining outlets, attractions and events where families can build and strengthen bonds through the quality of time spent together,” said Tunku Dato’ Ahmad Burhanuddin, Group Managing Director and Chief Executive Officer of Themed Attractions Resorts and Hotels. The time.together initiative will see the destination embarking on several projects that will bring unforgettable moments to adults and children alike. Among those projects include a special collaboration between Hotel Jen Puteri Harbour and SANRIO HELLO KITTY TOWN, to produce exclusively designed Hello Kitty themed hotel rooms for families and fans of the beloved icon. The rooms will be open to public later this year. Puteri Harbour provides a one-stop access to premier waterfront living with unparalleled and unique experiences in leisure, entertainment, dining and other lifestyle amenities for the entire family. This includes the Puteri Harbour Marina, now recognised among the global sailing community as one of the “must sail destinations” in the world. 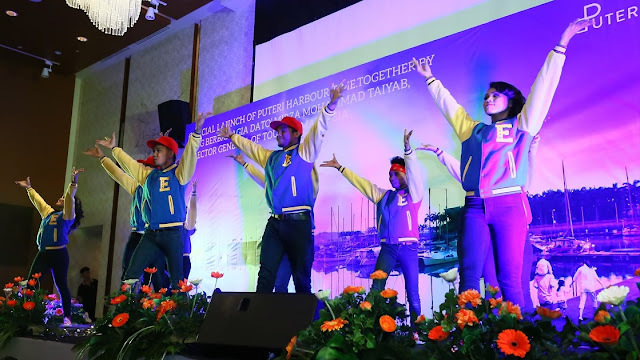 It is the first in Malaysia to be recognised and awarded with 5 Gold Anchor Award by The Yacht Harbour Association (“TYHA”), United Kingdom in February 2014. The Puteri Harbour International Ferry Terminal provides an alternative point of entry for the international tourists and currently offers ferry services to Tanjung Balai and Batam, Indonesia. SANRIO HELLO KITTY TOWN allows visitors to step into a world of all things Hello Kitty, including live appearances by the Hello Kitty herself! Daily attractions include character parades, photo sessions, and various other events and activities which allow visitors to get up close and personal with the renowned Japanese pop-culture icon. SANRIO HELLO KITTY TOWN also boasts the Red Bow Café, one of only two Hello Kitty themed cafés in Malaysia; two official licensed Hello Kitty merchandise outlets – one general merchandise store, and the other catering specially to ‘Hello Kitty in Oz’, the themed attraction’s newest adventure offering. Experience the characters come to life through fun-filled rides and activities that involve the whole family. Choose to take a ride on the Bumping Buffers Steamies & Diesels bumper cars, enjoy Bertie the Bus, Harold’s Helitours, Colin Crane Drop, Windmill Ride or take a tour of Knapford Station aboard Thomas himself. The saying goes: A family that eats together stays together. When it comes to dining and lifestyle options, Puteri Harbour has got that down to an art, leaving visitors spoilt for choice and a water-front ambience that cannot be found anywhere else. The myriad of dining and shopping options include retail and lifestyle stores, fine dining restaurants and alfresco cafes, all of which were carefully planned to capitalise on the breath-taking view of the marina. 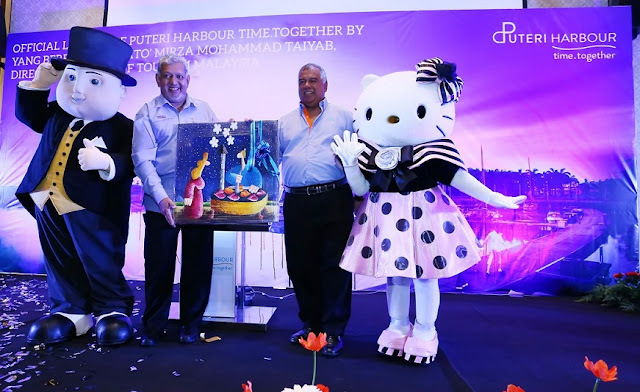 Every month, Puteri Harbour hosts a“Port of Call”, the destination’s signature outdoor carnival featuring pop-up music, arts and a street market. Encapsulating all of the harbour’s offerings in a single event, it is an event that has to be experienced by every family. In addition to entertainment, Puteri Harbour boasts an impressive portfolio of waterfront properties and is considered as one of the most highly sought after liveable areas. The residential projects developed by UEM Sunrise, including Almãs, Teega and Imperia, received positive response, with units at Imperia and Teega being completely sold out. UEM Sunrise remains upbeat about its recently launched Estuari Gardens, the first landed residential development in Puteri Harbour, and believes that it will add a new dynamics to the current residential landscape of the area. Puteri Harbour is strategically located near the Senai International Airport and Singapore’s Changi International Airport; as well as four international seaports and the Puteri Harbour International Ferry Terminal. It is easily accessible via a good network of highways and is just 15 minutes from the Malaysia-Singapore Second Link. i always visit Puteri Harbour when i go to JB, such a lovely place. yes agree with you it's really laid back and relaxing place, as compared to kl. Awww so jealous! I have never been there before and it looks amazing. Bring me too!